Senior Kaylee Slade (Left), freshman Ashling Devins (Center) and sophomore Carrie McIntyre (Right) race at the Bobcat Invitational in Milledgeville, Ga. on Oct. 20. The Emory women’s and men’s cross country teams took control of the competition on Oct. 20 at the Bobcat Invitational in Milledgeville, Ga., finishing No. 5 out of 19 teams, and No. 7 out of 18 teams, respectively. The women’s team, which improved by 11 slots to No. 17, finished with 175 points. Florida State University placed first, tallying 47 points; the University of Alabama in Huntsville finished second, recording 59 points; the University of Montevallo (Ala.) placed third, racking up 99 points; and Georgia College finished fourth with 132 points. 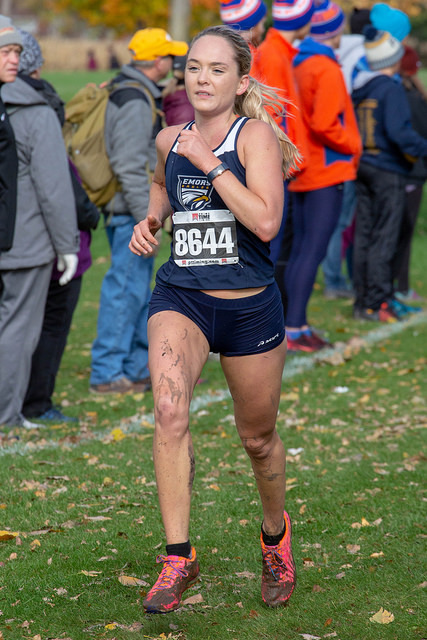 Freshman Zoe Friedman crossed the finish line first for the Eagles, clocking in a 6K time of 23:21 and placing 15th overall out of 142 runners. 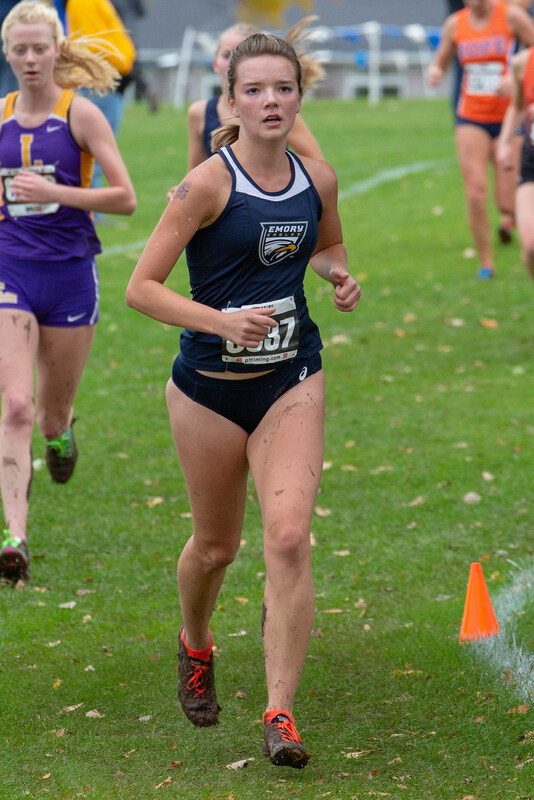 Senior Paige Lesslauer finished next on the Eagles’ scoreboard at 24:50, placing 42nd. Head Coach John Curtin applauded Friedman’s speed, especially since she has suffered from injuries since her arrival in August. “[Friedman] is just now starting to get going and could be an important runner for us down the stretch,” Curtin said of his frontrunner. Not far behind Lesslauer, juniors Jordan Burgess (24:56, 44th) and Ileana Zeissner (24:56, 45th) crossed the finish line, as well as sophomore Amanda Li (25:13, 55th). The No. 31 men’s squad finished strong in Milledgeville with 196 points. University of North Carolina at Pembroke finished first with 59 points; the University of Alabama at Huntsville was the runner-up with 71 points; and Augusta University (Ga.) placed third with 80 points. Sophomore John Cox finished first for the Eagles, clocking in an 8K time of 26:18, placing him 27th out of 162 runners. Sophomore Jonathan Rosenfeld crossed the finish line next, clocking in at 26:38 and placing 42nd overall. Also running for the Eagles were junior Bobby Wilson (26:41, 44th), sophomore Matthew Burke (26:42, 45th) and freshman Jon Marcus (26:41, 52nd). Both the men’s and women’s sides return to action on Oct. 28 at the University Athletic Association (UAA) Championships in Kenosha, Wis. 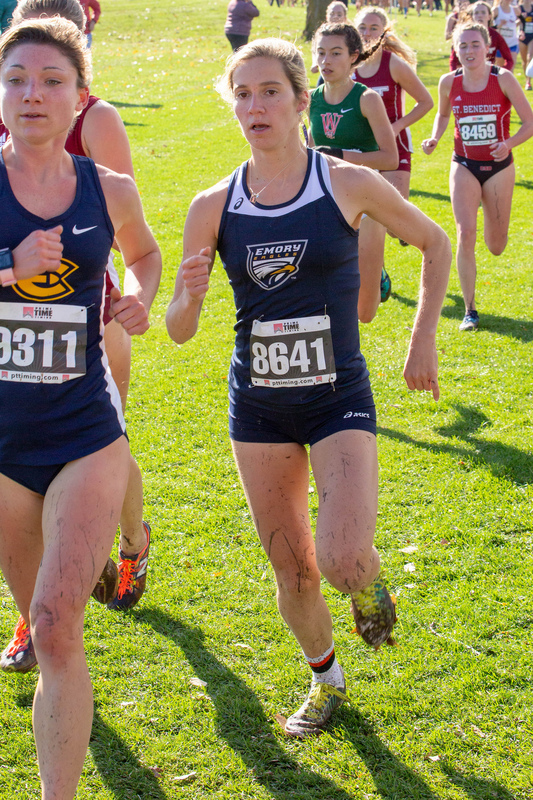 The post Friedman, Cox Finish First for Emory appeared first on The Emory Wheel.